Use our planner accessories to make your daily organiser system uniquely yours! 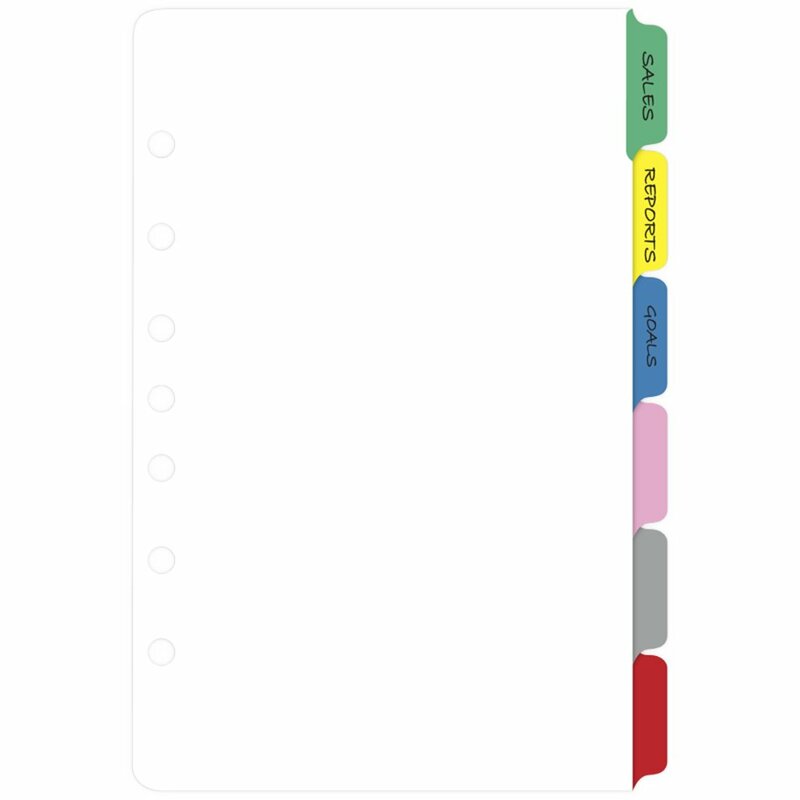 Create your own special organiser topics in your binder and look them up with these bright-hued tabbed dividers. Use the handy stick-on labels to identify each topic. Stock each section with the add-in sheets of your choice (sold separately).